The latest news from Maxey Moverley CCTV Repairs, with an archive of recent news below. Maxey Moverley has been the sole Approved Repair Centre for Dedicated Micros' full CCTV and security range since 2007.
dedicated repair rigs and test cells. Maxey Moverley’s market-leading repair service covers 5,800+ product lines & 250+ manufacturer brands - that's more manufacturers, more brands and more product lines than any other repairer. 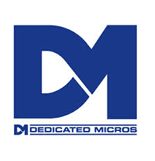 Read more about our Dedicated Micros and Dennard repairs. Or click on the home page to start reading more about the outstanding service that has established Maxey Moverley as first choice for CCTV and security repairs across the UK and Europe. Are your CCTV repairs going to Europe's leading repair centre? Does your CCTV repair service tick all the boxes?